Contrary to any popular perceptions of Australia’s legal system, a dislike of rights reigns with pious conviction on both sides of the political aisle. Rights are the stuff of nonsense and nuisance, revocable for those deemed undesirable. The Australian constitution, a heavily dull document, remains silent on many important liberties; the common law is relied upon to fill in gaps (think of that conjuration known as the implied constitutional right to freedom of communication on political subjects). Parliament, mystically wise, is meant to be the grand guardian. 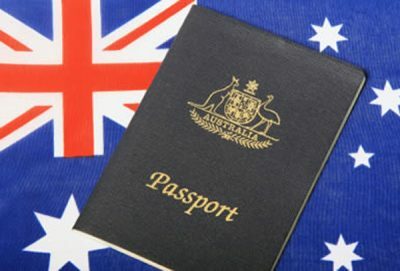 In terms of citizenship, Australia’s parliament has been rather cavalier on the idea of citizenship, exploiting the absence of any specific reference to the term in the arid document that grants it legislative powers. In 2015, national security considerations became the basis for legislation stripping individuals of citizenship in certain instances where terrorism was an issue. While citizenship can be lost in certain instances common to other countries, the arbitrary revocation of citizenship via executive fiat is possible under the Citizenship Act 2007 (Cth). The relevant minister, goes the wording of s. 35A, “may determine in writing that a person ceases to be an Australian citizen” in various instances involving convictions for certain offences, including terrorism. But convictions might not be necessary; the minister might deem it against the public interest for the person to remain an Australian citizen. This is all made ever vaguer on the issue of what constitutes recruitment and the status of foreign fighters. We remain at the mercy of “security” considerations. Parliament did stop short of rendering citizens stateless, making the provisions apply to dual nationals. But it yielded two outcomes: that the relevant minister would be effectively governed by the consideration that the Australian citizen might have citizenship of another country, however tenuous that link would be, and that any powers to deprive that person of Australian citizenship could be exercised to limited review. This curiously venal formulation was always problematic; for one, such laws are not, specifically, “with respect to aliens” or with respect to immigration, terminology that is to be found in the constitution. Khaled Sharrouf became the debutant to lose his Australian citizenship under the amendments, his reputation marked by a spectacularly gruesome display of images sporting his son holding a severed head. Five Islamic State supporters can now deem themselves former Australian citizens. Details are scant. All it took was a decision by the Home Affairs Minister, Peter Dutton. There was no presiding judge, nor scrutinising judicial proceeding to oversee the merits of the decision. There was no context supplied as to what support was given to Islamic State. No guidelines were disclosed supporting the decision, no taxing criteria by which we could even say that these supporters should be deprived of their bit of paperwork. Dutton admits that there was something akin to a process, but openly admits conflict zones present different challengers to the investigator. Not that this evidentiary hurdle troubles him. Intelligence assessments and briefings do not necessarily stand the test of a withering legal examination, but for Dutton they constitute the legal basis for alleviating individuals of their citizenship. The issues of belonging and involvement in civic life are troubling propositions. Stripping citizenship is an announcement that the time for belonging is over. But it is also an assertion that there is no redemption and challenge. Like the despot’s favour, Dutton can designate individuals terrorists with capricious ease, a situation that does not broker appeal except in exceptional cases. That very repellent, illiberal fact runs against the concept of holding an overly zealous executive to account. All that matters for Dutton is the public safety rationale, a concept of such fuzziness it is susceptible to convenient abuse. Such occasions should strike fear into the citizenry of any self-respecting state. Dutton has assumed the position of assessor, deliberator, and executor, his crude paternalism a conspicuous threat to civil liberties. Policing roles have been fused with the judicial, the very definition of an unchecked tyrant. Whatever the nature of those who deemed it necessary to join a cause or find solace in the organisational bosom of an officially designated terrorist group (and the options are many) the ease by which they lost their status is more than troubling. The Magna Carta, it would seem, is a dead letter, a fact that should be a cause for lengthy mourning.